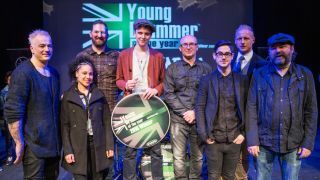 The Young Drummer of the Year competition is coming back for 2016. The renowned event shines a light on the finest drummers aged 16 and under, with past competitors including the likes of Dexter Hercules (Rita Ora), Paul Stanley Mckenzie (Gorillaz Sound System), Jen Ledger (Skillet), Brad Webb (Jamie Cullum) and Emily Dolan Davies (Bryan Ferry/The Darkness). Think you've got what it takes? To enter drummers must send a two-minute solo drum performance with a completed entry form which can be found at www.youngdrummeroftheyear.co.uk. Entries must be made between 1 October and 15 November. All drummers must be 16 years or younger on 7 February 2016.